Astrid Stawiarz/GettyTiffany Trump liked Instagram posts about the March for Our Lives rallies. Members of President Donald Trump’s extended family are coming out in support of March for Our Lives, and breaking with him on gun control policy. 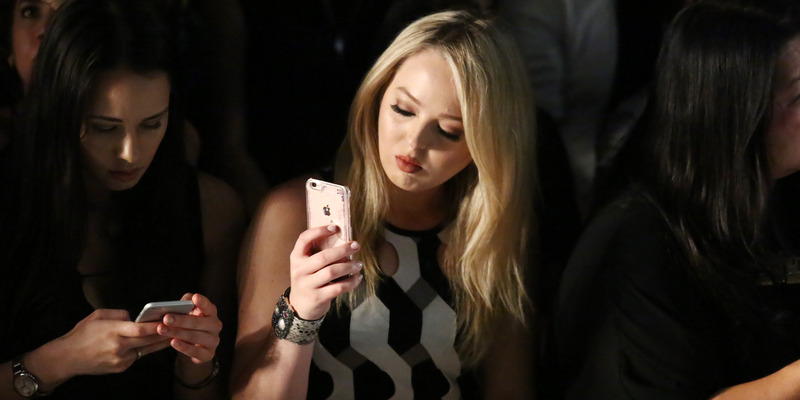 White House senior adviser Jared Kushner’s brother, Joshua Kushner, attended the rally, and Trump’s daughter Tiffany Trump liked photos of the marches on Instagram. Trump, while initially pledging to take on the National Rifle Association, has backed down from his tough rhetoric in recent weeks. It looks like two under-the-radar members of President Donald Trump’s extended family are quietly pushing for gun control. 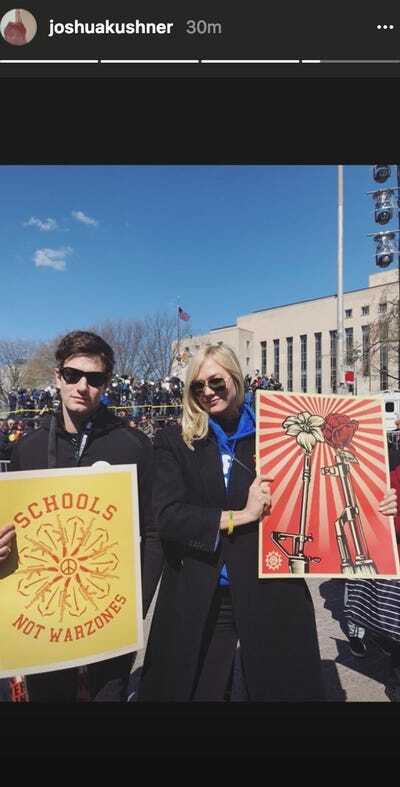 The brother of Trump’s son-in-law and White House senior adviser Jared Kushner, Joshua Kushner, attended the March for our Lives rally in Washington, DC on Saturday. He posted a photo of himself with his girlfriend, model Karlie Kloss, and another of her holding a sign that read “Load minds not guns” on his Instagram. Joshua Kushner/InstagramA screenshot of Joshua Kushner’s Instagram story. Tiffany Trump, the president’s youngest daughter, liked that post. The younger Trump has largely stayed out of the public eye – unlike her older sister, White House adviser Ivanka Trump, who keeps a highly visible profile. Tiffany Trump was the president’s only child with his second wife, Marla Maples, whom he divorced before marrying first lady Melania Trump in 2005. The president, meanwhile, has endorsed arming teachers in schools, and has stood by the National Rifle Association and their anti-gun control policy proposals on numerous occasions. He does support background checks on gun buyers, and his administration has recently banned bump stocks, attachable add-ons for rifles that increase their fire rate. During the rallies on Saturday, which brought hundreds of thousands of demonstrators to the White House, Trump was at his private Mar-a-Lago Club in Palm Beach, Florida. He hasn’t personally made a statement about the nationwide protests. Deputy White House press secretary Lindsay Walters released a statement on Saturday. The younger Kushner was also spotted at the Women’s March in January 2017, where he told marchers he was there “observing,” the Washingtonian reported. 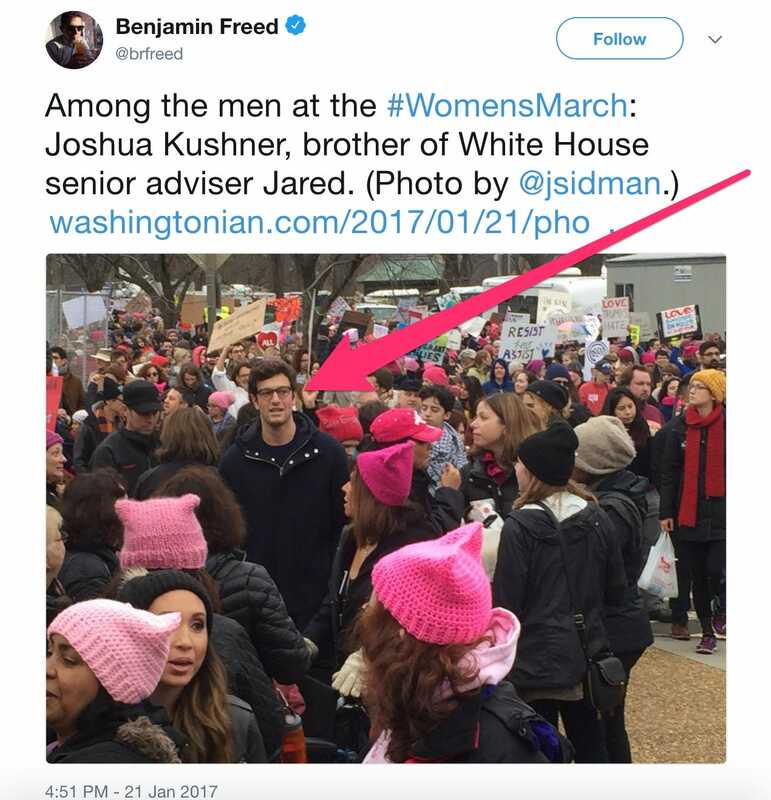 Screenshot via @brfreed/TwitterKushner at the Womens’ March in 2017. The Kushner family has a history of support for the Democratic Party, and former White House chief strategist Steve Bannon reportedly referred to Kushner and his Ivanka as the “Democrats” in an effort to degrade them. Although Trump has vacillated on his position on gun control, he has frequently drawn the ire of both supporters and opponents of gun laws. At a meeting with senators late last month, Trump accused Republican Sen. Pat Toomey of being “afraid of the NRA.” But the president then subsequently abandoned his efforts to the oppose the group in pursuing tougher gun control measures like raising the age at which Americans could purchase guns. Many students at the rallies called Trump out personally on Saturday, in signs and in speeches.